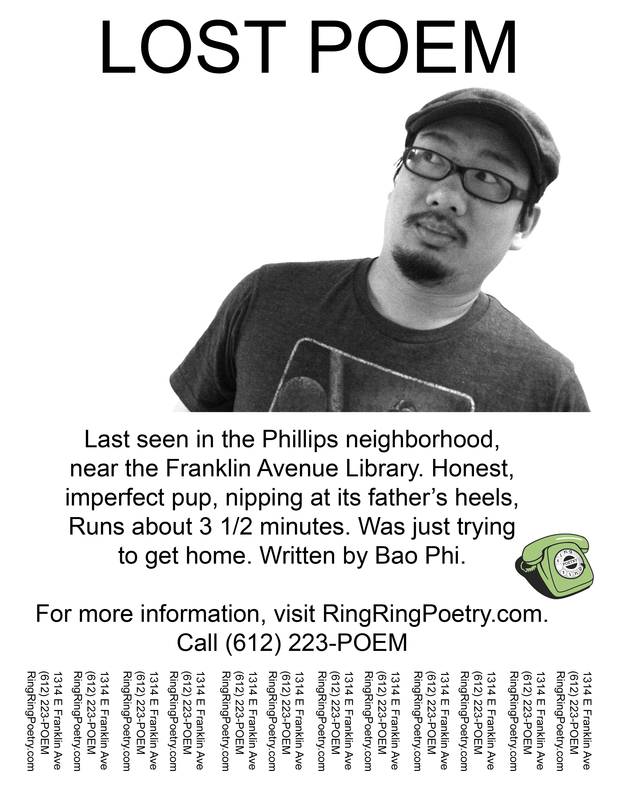 Bao Phi is considered one of Twin Cities slam poetry’s “old guard”, and seems to have found a balance between his performance work and being an active part of the community. His Equilibrium series has been phenomenal, keeping performance poets from here and from out-of-state on the Loft stage- reminding us that there are lots of voices to be listening to, lots of different styles and stories to be told. His blog posts on the Star Tribune’s website have been thoughtful and necessary, and that’s not even touching on his work as a poet. A two-time Minnesota Grand Slam champion and a National Poetry Slam finalist, Bao Phi has appeared on HBO Presents Russell Simmons Def Poetry, and a poem of his appeared in the 2006 Best American Poetry anthology. His poems and essays are widely published in numerous publications including Screaming Monkeys and Spoken Word Revolution Redux. He has also released several CDs of his poetry, such as the recently sold-outRefugeography to his newest CD, The Nguyens EP. In addition to his creative work, he was nominated for a Facing Race Ambassador award in recognition for his community work, and has published essays in topics from Asians in hip hop to Asian representation in video games. He maintains a popular blog for theStar Tribune’s website, which he uses to bring issues and alternative perspectives on Asian American community to light. Currently he continues to perform across the country, remains active as an Asian American community organizer, and works at the Loft, where he creates and operates programs for artists and audiences of color. He was the Coordinating Chair of the National APIA Spoken Word Poetry Summit, 2011.His series, Equilibrium, recently won the Minnesota Council of Nonprofits Anti-Racism Initiative Award.